Hello! 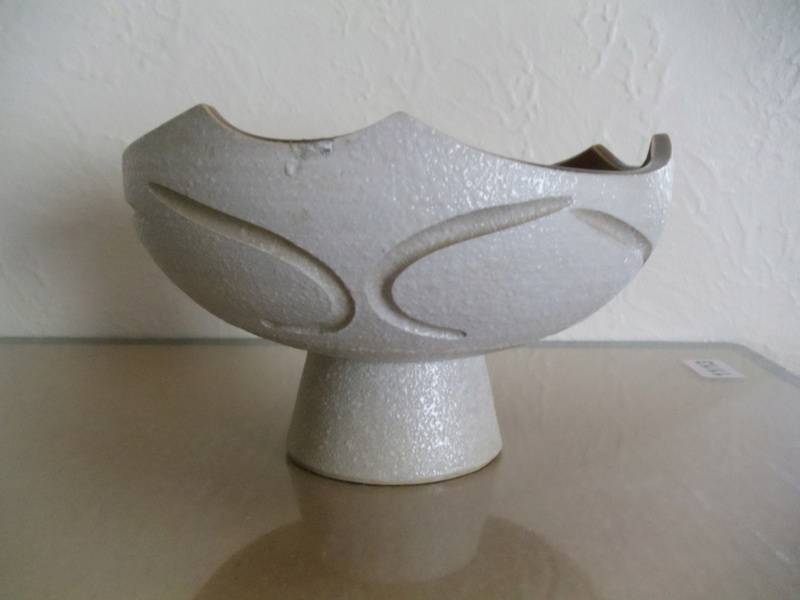 I have this footed bowl, cream colored clay body, maybe white stoneware footed bowl. 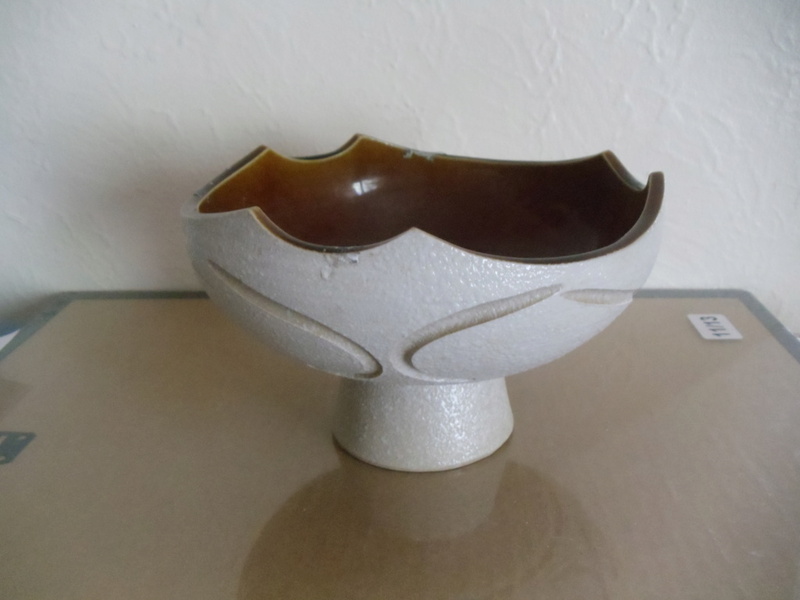 Pebbled white glaze, on the inside a translucent root beer looking smooth glaze. In the bottom, it is stamped " B-15 " with machine made type letters, impressed in the clay. 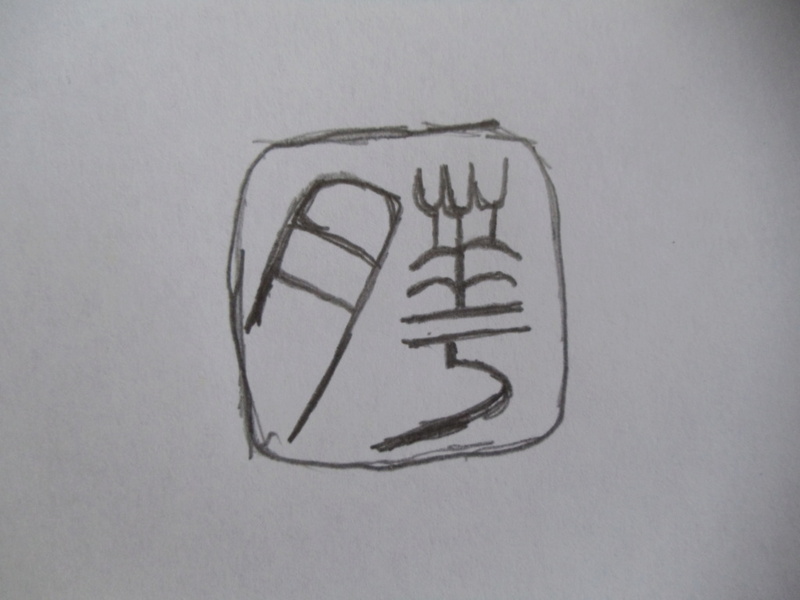 Then below is a mark, also impressed in the clay, which I have provided a sketch of because I can't photograph it well. It's very odd, does anyone know the mark, likely origin, age? Any info much appreciated.